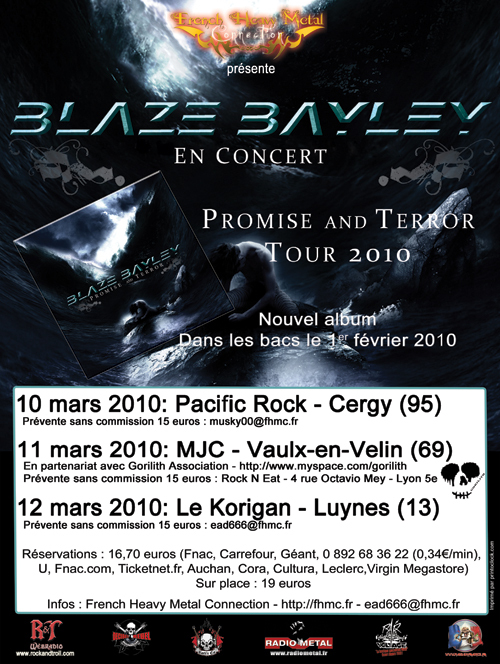 Just a couple of months after his show in Paris in late 2009, the first show in the area for years, Blaze Bayley and his band started their European Promise And Terror Tour in Cergy. The venue is called the Pacific Rock. It’s a nice place to organize concerts but it’s quite far from Paris and there are not really good train connections. Anyway, I went there by car with a friend to see this show. 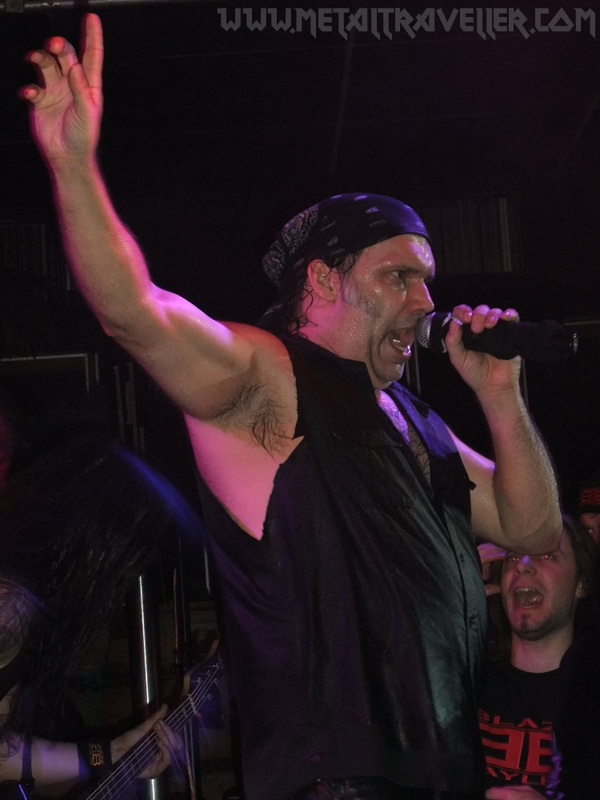 The last Blaze Bayley show in Paris didn’t left me with a so good impression. The band performed perfectly, Blaze demonstrated that he’s a great frontman, but his voice didn’t match the quality of the show. What I didn’t know is that he was ill, he had a fever... and while other singers would cancel a gig, Blaze performed and made the best he could. So, how was it going to be tonight, with the band playing in a smaller venue and in front of less people? The answer came from the first song: AMAZING! No doubt at all, this is the best Blaze Bayley show I’ve ever seen. The setlist was a bit shorter than last time: 15 songs instead of 19. In some other places the band played a few more songs than here, but nevermid, the gig in Cergy was of very hight quality! The band focused on the last two records. Not a single song from the album Tenth Dimension was played, and we only had one song from eash, Silicon Messiah and Blood and Belief. Of course there was some room left for a couple of Iron Maiden songs. It’s a pleasure to hear those songs that Maiden hasn’t played for years, and moreover, it’s great to hear them with the singer that recorded them. The sound was brilliant and all musicians are fully integrated. Blaze Bayley sounds like a real band, not as a singer’s backing band (Like for Paul DiAnno). This venue doesn’t have many lights, but that was OK for a small stage. Drums were higher than the rest of the stage, which gave the feeling of a big show production. And by the way Australian Drummer Larry Paterson made an impressive demonstration of his rhythm skills. 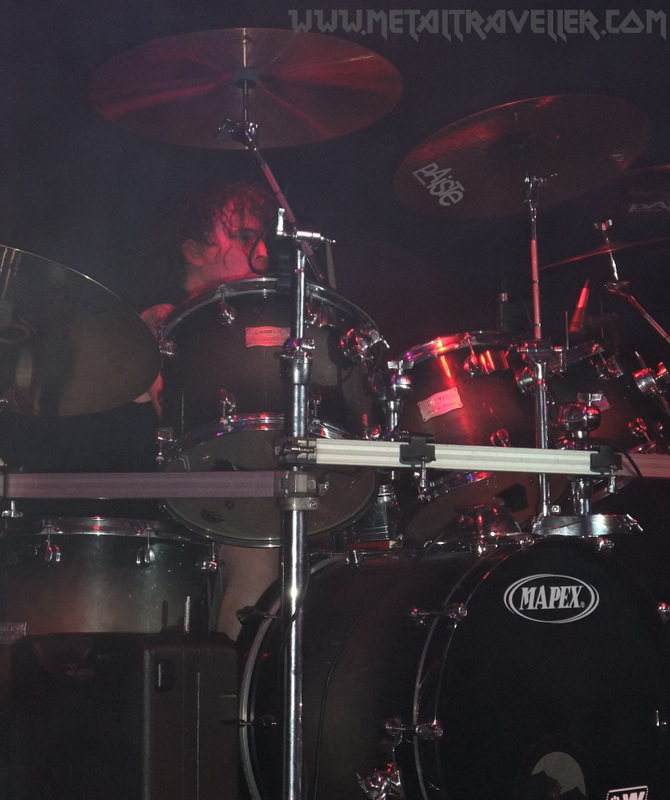 The Bermudez brothers are part of the soul of the new Blaze Bayley band. Those guys started in Colombia playing in a band called Underthreat, then moved to the US and finally to the UK to play with Blaze. As you might know, it’s very hard for a non-European or non-US band to have success abroad. These guys are living the dream of many metal musicians in the world, so you can be sure that they give everything they’ve got every night! 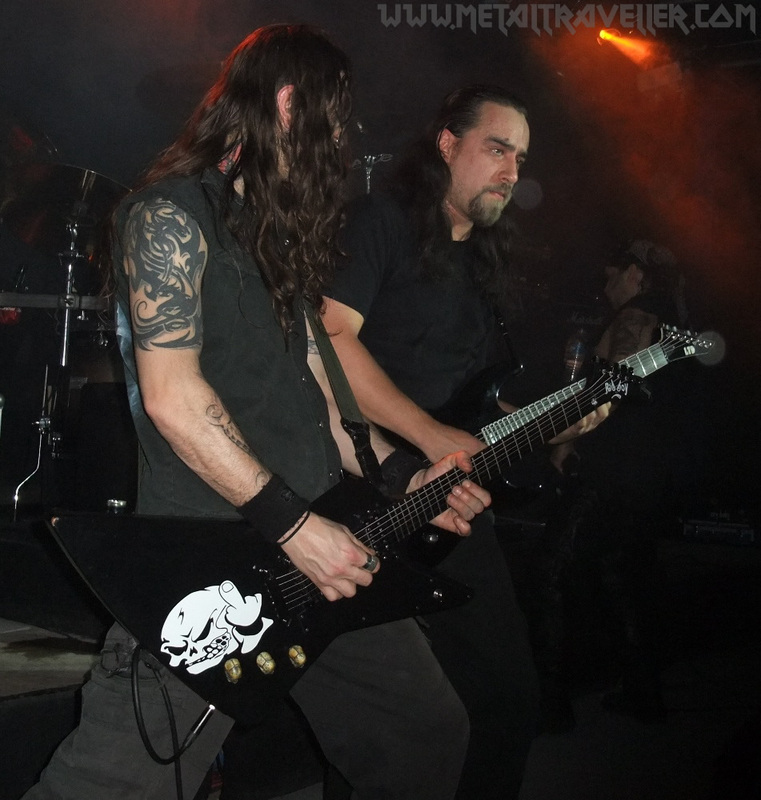 David Bermúdez kept headbanging during the show. 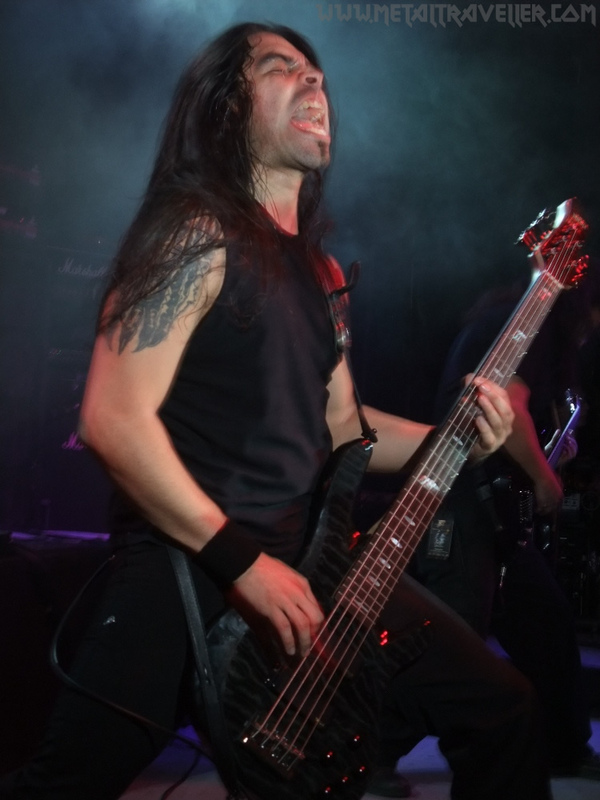 Nick Bermúdez was more concentrated on his solos, but the lead parts were played faultless. 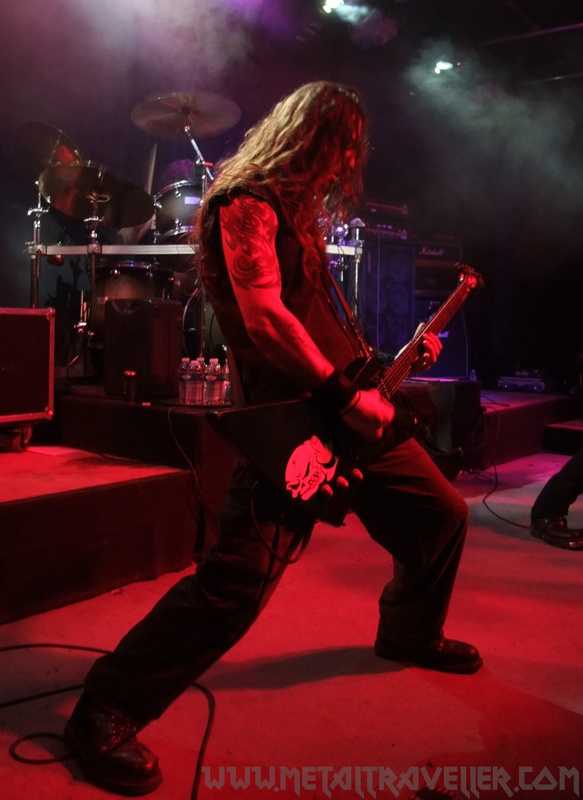 Guitar player Jay Walsh does not move much on stage, but his rhythm and lead parts give the band that special sound they have on stage. 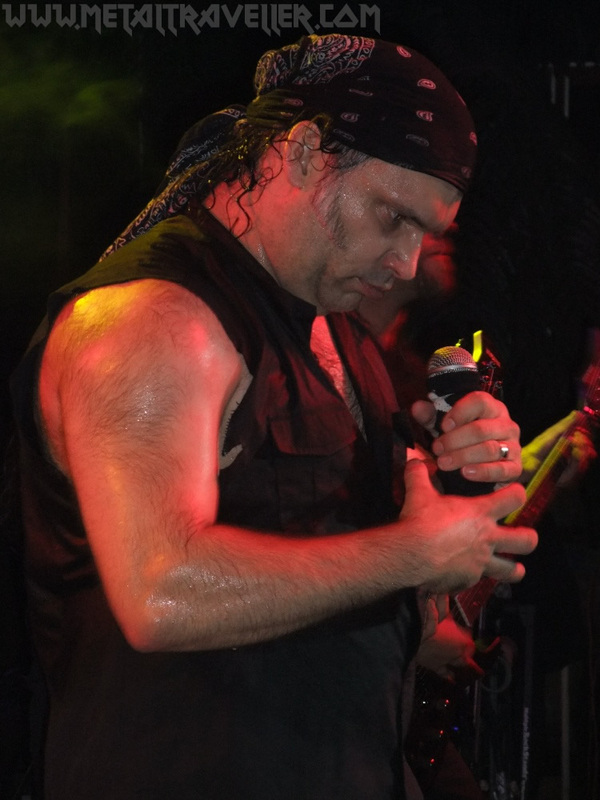 As for Blaze Bayley, he did an amazing job! I was quite concerned because last time I saw him, his voice wasn’t doing great. Well, this time he was in an absolutely good shape and sang perfectly every song. 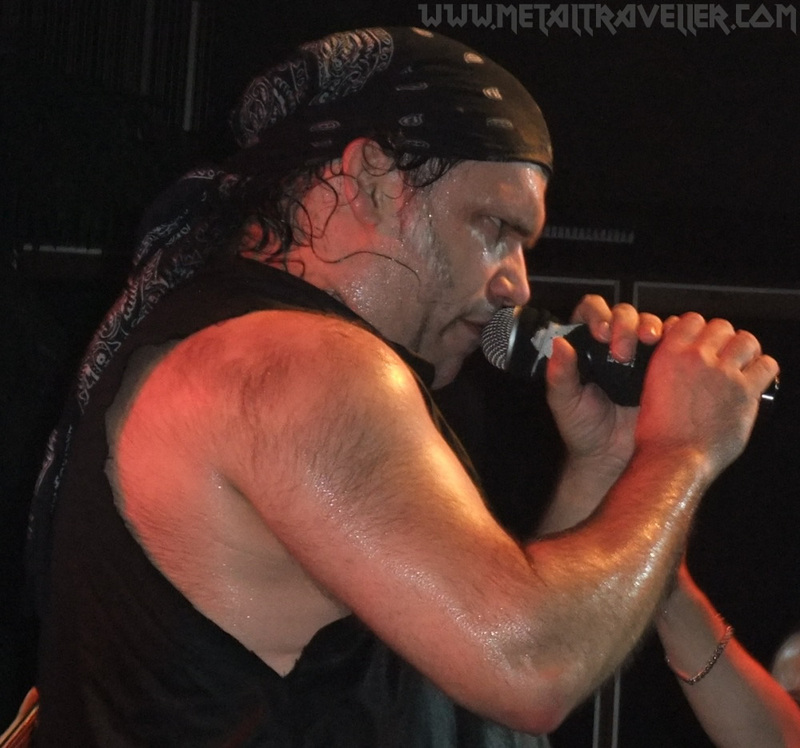 Blaze Bayley spoke about Metal and life on the road. He stated that the band had not a big record company and they’re not part of any big management group. 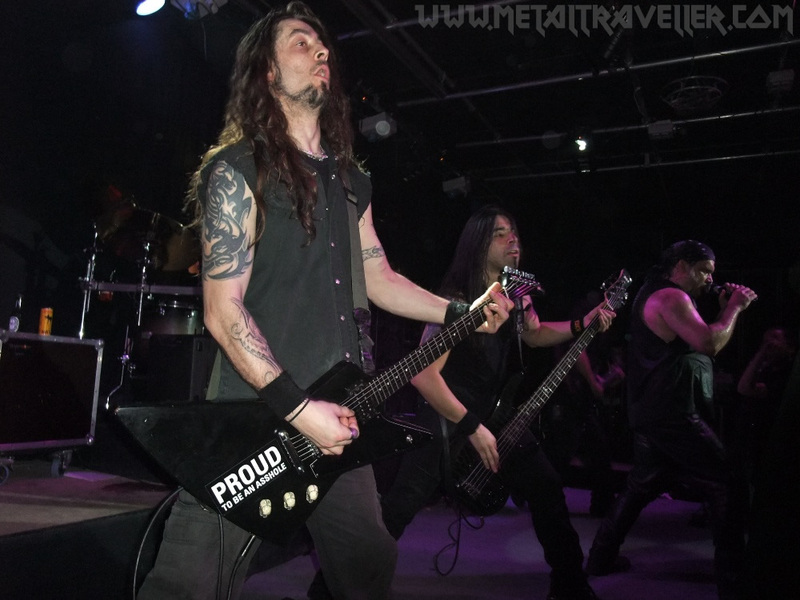 He said that they’re here because of us, the audience, because we all like Metal. Things haven’t always been easy for Blaze, and he has had a lot of up and downs in his life. Yet, he is still here, making his best every night, no matter how many people shows at their gigs. Therefore I respect him a lot. Blaze sang with Iron Maiden, he could have reformed Wolfsbane, or quit the music business after that. I would have understand him, because I guess it’s not easy to go from playing stadiums and then small clubs just a few years later. He’s impassioned with what he does, and I respect him a lot for that. It was a great evening and I hope Blaze Bayley will keep recording high quality albums, and touring around the globe. Really, don't miss their show if they play in a city near you!